SFP-10G-SR is a popular 10G SFP+ optical transceiver in terms of quantity used. It is considered as the mainstream form factor of the 2017 market due to its matured technology and reduced price, even although 40G/100G optical modules are on the very top trend for enterprise and data center for the interconnection. But two years ago, Cisco introduced S-class optics such as SFP-10G-SR-S for enterprise and data center applications. For some web searchers, he will be recommended with SFP-10G-SR-S rather than SFP-10G-SR. But they almost share the same characteristics, so SFP-10G-SR-S vs SFP-10G-SR, why choose one over the other? Hope this post may give some clue. Seemingly and technically, they don’t have much difference. SFP-10G-SR-S shares the same product specification with SFP-10G-SR. SFP-10G-SR is compliant with 10GBASE-SR standard. The Cisco 10GBASE-SR module supports a link length of 26m on standard Fiber Distributed Data Interface (FDDI)-grade multimode fiber, up to 300m link lengths over OM3 and 400m link lengths over OM4 cables. Cisco SFP-10G-SR transceiver is hot-swappable input/output device which allows a 10 Gigabit Ethernet port to link with a fiber optic network. Because it is hot-swappable and MSA compliant, the Cisco SFP-10G-SR transceiver can be plugged directly into any Cisco SFP+ based transceiver port, without the need to power down the host network system. This capability makes moves, add-ons and exchanges quick and painless. According to Cisco, S-class optics are intended for enterprise and data center 10G and 40G applications This new set of optics does not display several unnecessary features for these applications, bringing about a more attractive price. That explains why SFP-10G-SR-S price is lower than SFP-10G-SR price. Except the price, there are some other differences. SFP-10G-SR-S optics aren’t TAA certified. 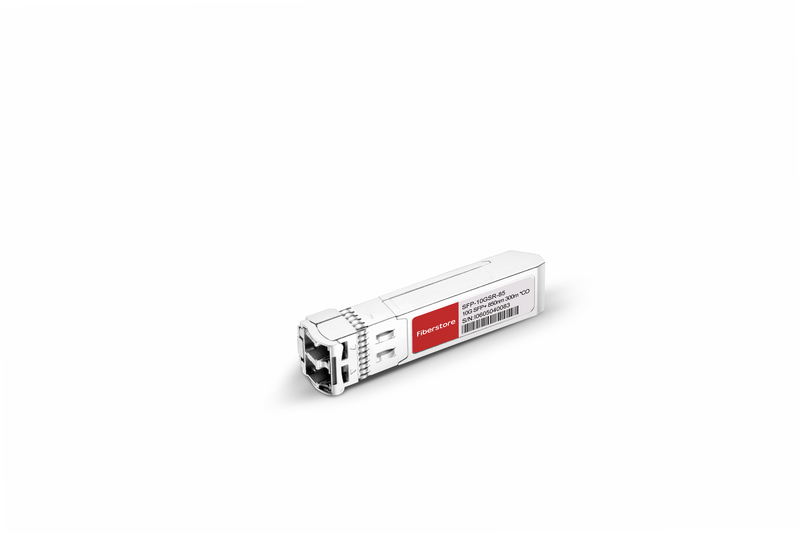 However, the non-S-class optics such as SFP-10G-SR are all compliant to TAA. SFP-10G-SR-S optics only have COM (Commercial temperature range: 0~70℃). However, the temperature range of SFP-10G-SR can be EXT (Extended temperature range: -5~85℃), IND (Industrial temperature range: -40~85℃) and Storage temperature range (-40~85℃). In terms of protocols, SFP-10G-SR-S optics use Ethernet only, they cannot use OTN (Optical Transport Network) or WAN-PHY (Wide Area Network Physics). Furthermore, SFP-10G-SR-S optics just have 10G and 40G applications so far which is specified for 10G and 40G enterprise and data center. Thus, if you don’t need any special features like extra tolerance for temperature, S-Class optics can save you a considerable amount of money. Since equipment SFP-10G-SR vendors all rely on MSAs when designing their transceivers, every supplier can produce the transceiver modules with the same functions but with different prices. Unless you have a 100% requirement to buy Cisco, there are a lot of 3rd party compatible vendors out there that you can save a lot of money by using. Here is a price list from different vendors for you to choose from. SFP-10G-SR-S vs SFP-10G-SR, Which Will You Choose? Although SFP-10G-SR-S vs SFP-10G-SR, they share identical specification, there still are some minor difference. In most cases, SFP-10G-SR-S optics are recommended for 10G and 40G applications due to its low cost. both SFP-10G-SR price and SFP-10G-SR-S price is relatively lower according to the above chart, and they also enjoy good quality. If you need any third-party optical modules or fiber optic cables, give FS.COM a shot. This entry was posted in Fiber Optical Transceivers and tagged SFP-10G-SR, SFP-10G-SR Price, SFP-10G-SR vs. SFP-10G-SR-S, SFP-10G-SR-S, SFP-10G-SR-S price, SFP-10G-SR-S vs SFP-10G-SR on December 12, 2017 by Admin.